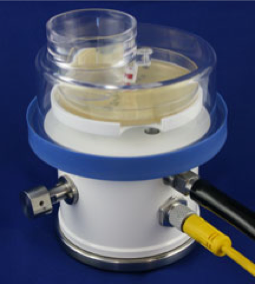 The R2S Microbial Air Sampler incorporates industry standard Slit-to-Agar methodology with comparable microbial recovery/sensitivity, offering a highly accurate analysis of air quality. The R2S is designed for monitoring clean rooms, LAF Hoods and Isolators, but can be employed for monitoring in virtually any critical environment. It is designed to allow for sanitization of all surfaces exposed to the environment while its streamlined design affords minimal disruptive effects on Laminar Airflow in critical environments.